Aesthetic, technical and scientific uses of the medium of photography should be understood as socially and historically determined processes. 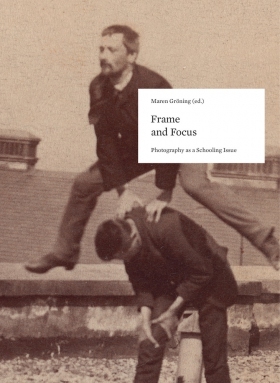 Franz Roh’s cautionary remark of 1929 that photography might give rise to a modern kind of illiteracy has often been quoted as a call for a more comprehensive educational effort in the field. However, there can be little doubt that artistic freedom alone guarantees a genuinely creative approach and deserves to be fully respected. Thus, photography remains a paradigm of very complicated cultural and communicative developments. Starting from the exemplary Graphische Lehr- und Versuchsanstalt founded by the Austrian photochemist and historian of photography Josef Maria Eder in Vienna in 1888, this reader presents further positions regarding photography as a schooling issue in Germany, the United States, Croatia, and France between 1900 and today. The contributions to the volume explore topics like the independency of photography, its being looked at as art or applied technology, as a science in its own right, as a hobby or profession, or even as a completely “deskilled” activity in an age engaged in the rampant exchange of photographic images through mobile devices and the Internet. Maren Gröning works as curator at the Photographic Collection of the Albertina, Vienna, since 2012 she is also curator for nineteenth-century art of the German-speaking countries. Ulrike Matzer is a writer, critic, and historian of photography who lives in Vienna.